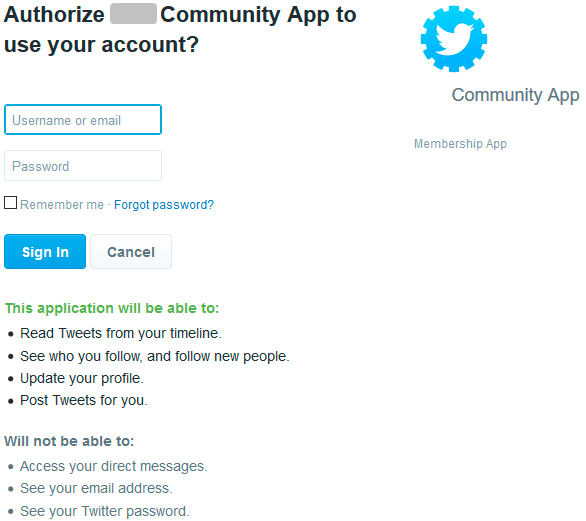 To use Social Login by new Membership users, firstly it’s needed to open registration page. 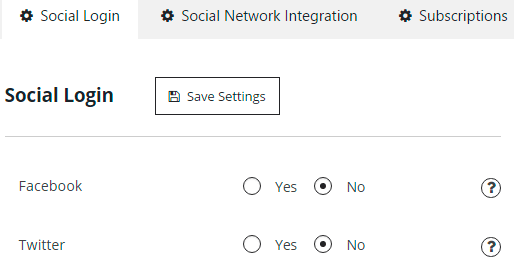 Choose which Social network you want to explore for registration. 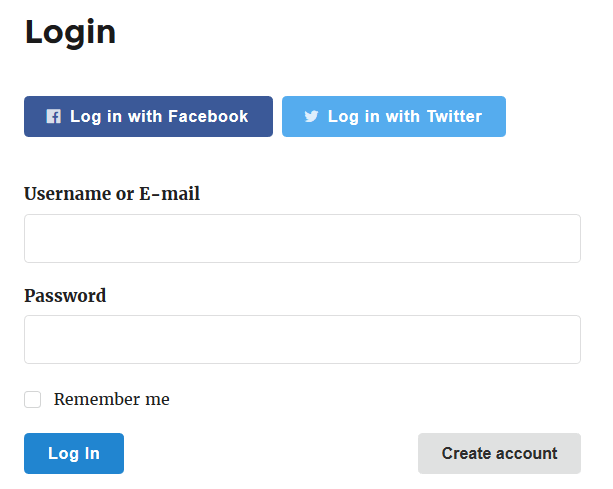 Then pass through the login to it and allow current site to have access to your social network account. 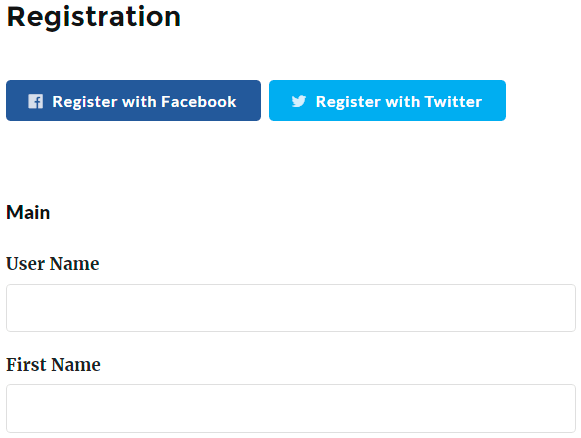 The registration page will open again and Name fields will be filled with you social network account data. Complete registration. 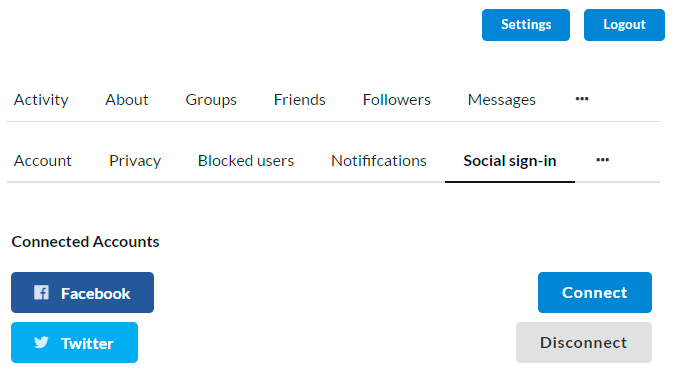 In the new Membership account click Settings Tab and elect Social Sign-in Tab. Here you can see which Social Networks your Membership account is connected to. Click Disconnect – to delete existed account bondings or Connect – to add to the new one. Please notice, that Membership user’s account can be connected to the one social account only. After you have bonded your account with Facebook or Twitter to Membership site, the process of Login will take time, that is equal to simple page reloading. Just click Login with Facebook/Twitter and wait for Profile to load.